Best Toddler Pianos and Toy Keyboards! What are the Best Toddler Pianos? 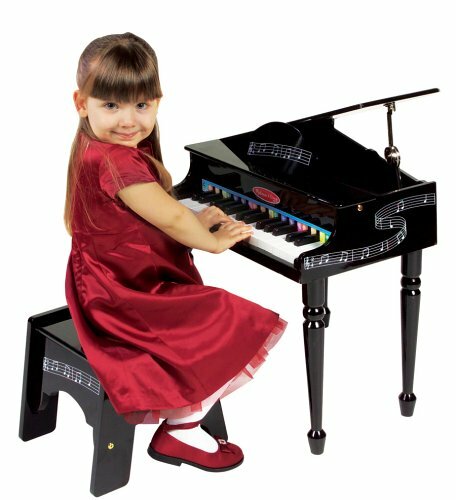 Are you looking for a good toddler piano? The gift of music is one of the best gifts you can ever give your children! Music has the power to improve a child’s intelligence and life’s skills, did you know that? When choosing the right toy piano for a toddler, you have to consider getting something small and fun. Big pianos will most certainly overwhelm your little one and might make him lose interest in playing later on. Your child is going to love this one!! The best toy pianos for toddlers and small children in general are the ones with a great sound quality while still looking fun and appealing! I am a piano teacher and for the little ones I always recommend fun and colorful toy pianos and after they are 6 or 7 years old, you can start them on a regular acoustic piano or full digital piano. Here are the best toddler pianos I’ve seen so far! How about giving your child one of the best gifts ever? Give your child a toy piano or keyboard! Introduce your little ones to music as early as possible! Music is the best gift any parent can give a child! 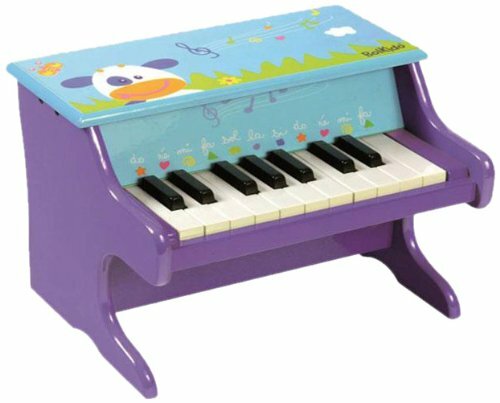 By giving your child a toy piano or a toy keyboard, you will open a magical door that will change their lives forever! A child that plays with a musical toy, especially a toy piano from a very young age, will develop his intelligence and talents fast! I teach piano and I always advise my students to buy fun and colorful kid pianos for their toddlers, because it is one of the best educational musical toys! 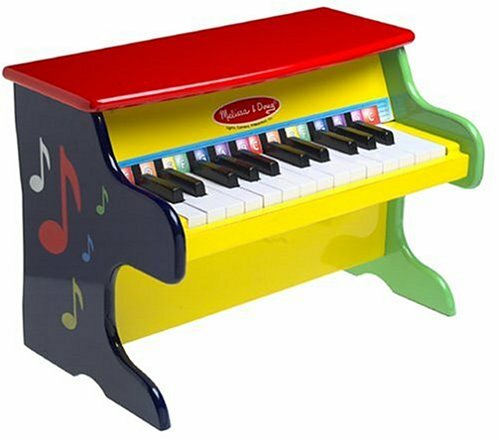 This fun and colorful toddler piano is one of the most popular toy pianos on the market! Parents love to buy this cute piano for their little ones because besides being very affordable, it is very durable and a lot of fun to play! 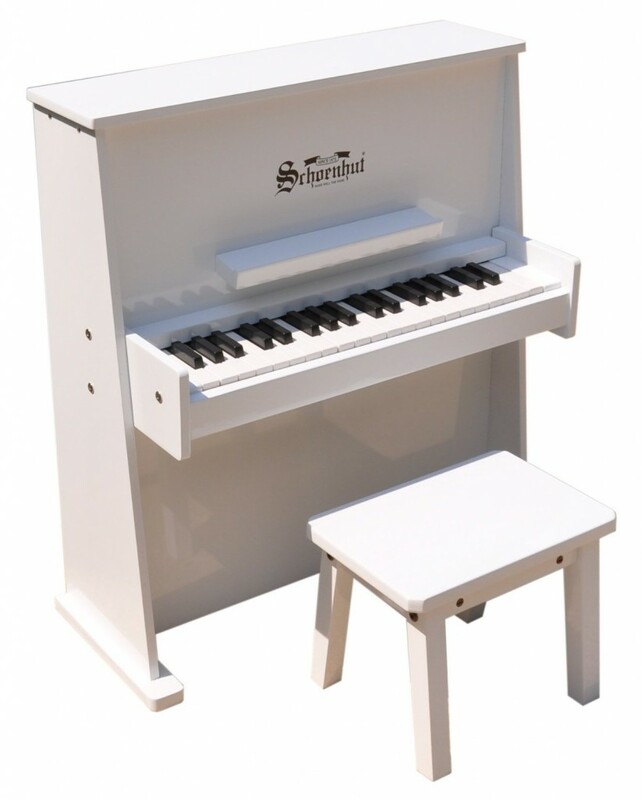 Schoenhut is one of the best toy piano brands out there! They make fun and attractive toy pianos for kids and toddlers! 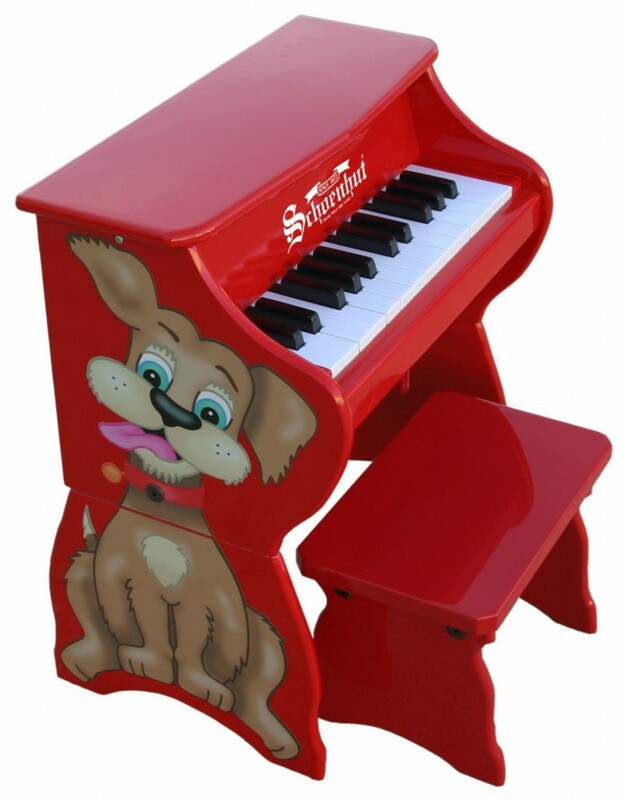 This is a beautiful toddler piano, perfect for your child’s bedroom or even day care center! It has 37 keys, sounds great and it is very durable! Durable and sturdy enough to have in a day care center or play room as well! It plays lovely and beautiful chime-like notes, to spark the kids interest in making music! It has a “realistic” look, but it is conveniently small, not to overwhelm the little ones. Schoenhut Fancy Baby Grand Piano for Kids! The best toy pianos for kids need to be durable, cute and produce a great sound! This cute baby grand toy piano is made of solid wood, it has full size keys and it comes with a fun and colorful removable key guide, matching bench and song cards! Happy buyers say it is the perfect kid’s piano for 3 year olds! How about this awesome white baby grand for toddlers? It is very affordable and durable! It is suitable for children ages 2 to 9 years old! It comes with a book with simple songs where you follow colors for notes! 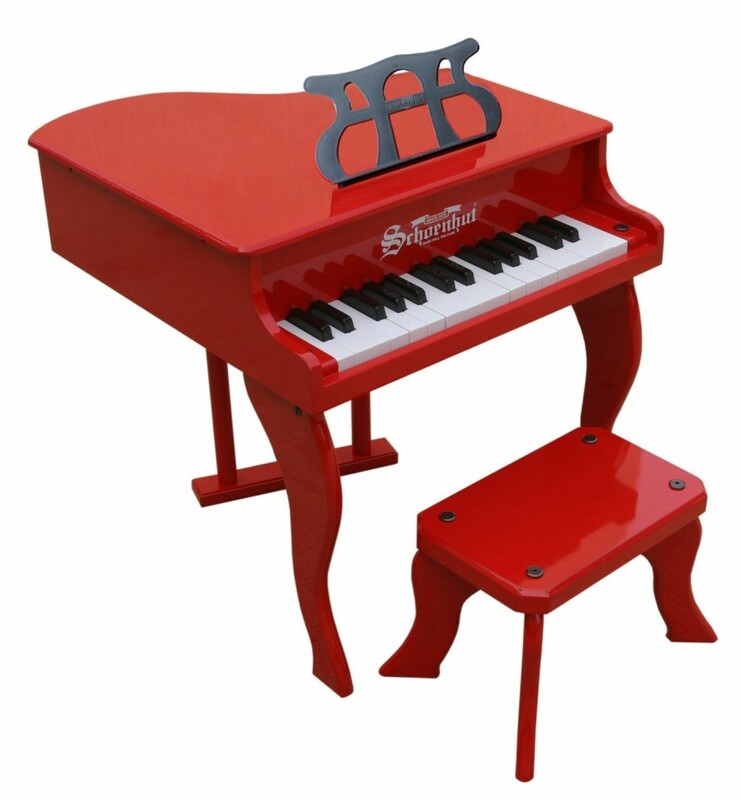 I bet your child will want to play this gorgeous red baby grand piano everyday! It has 30 full-sized keys and the lovely chime-like tones that children love to play! 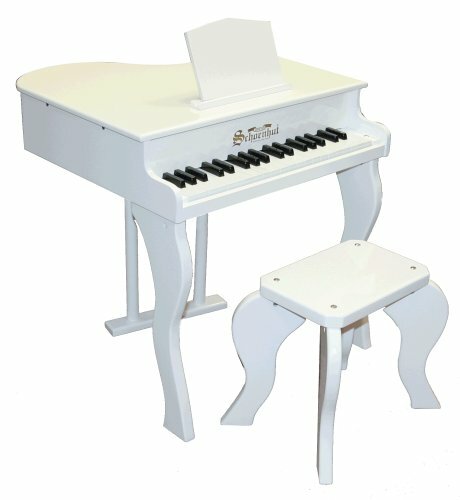 This is a gorgeous white piano for toddlers! It is fun, educational, beautiful and the notes sound like chimes, to keep the little ones interested! 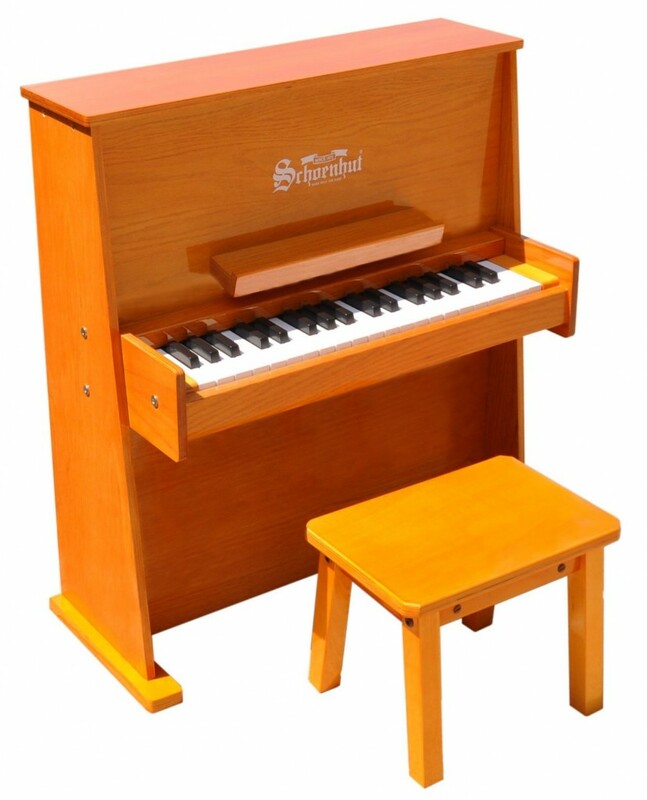 Built of solid maple and one-half inch birch plywood, it is very durable and hopefully will spark your little one’s desire to continue his piano studies! Give your toddler the gift of music! It looks very professional and will not overwhelm the little ones. It is small and comfortable enough for toddlers to start their new music career! What a cute pink horse piano for 2 and 3 year old girls!! This cute toy piano is very comfortable and easy to use! It is perfect for toddlers because it sits safely and squarely on the floor or on a table within easy reach of little hands. 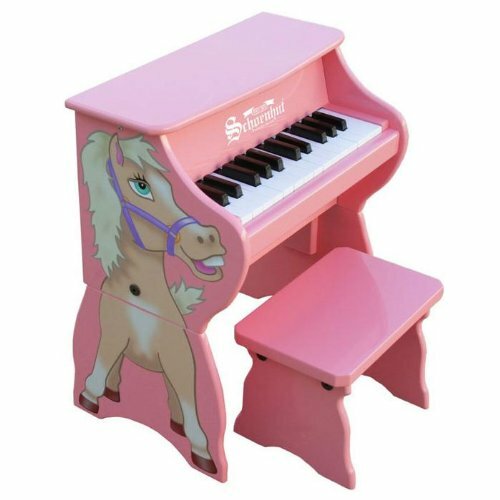 *Even adults can play on this cute pink horse toddler piano! I love the magical sound! Melissa & Doug Grand Piano for Toddlers! 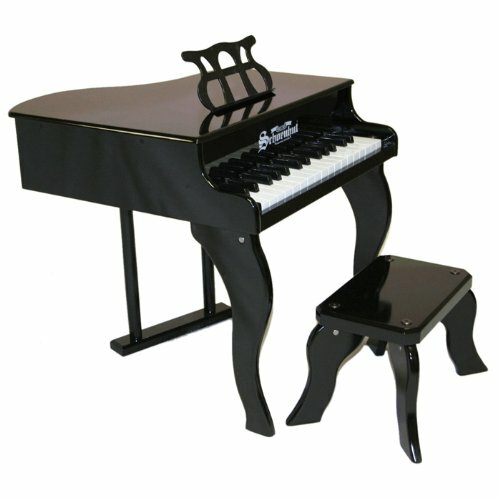 Can you see your little girl or little boy sitting at this cute grand piano for toddlers? It has a beautiful polished finish and it looks just like mommy’s piano, doesn’t it? Perfect for kids ages 2 to 5! What a wonderful gift idea too! *Toddler Girl Playing her Beautiful Black Piano for the First Time! I guess this is how it all starts! Passion for music being born! KidiJamz Studio Fun Child Keyboard! 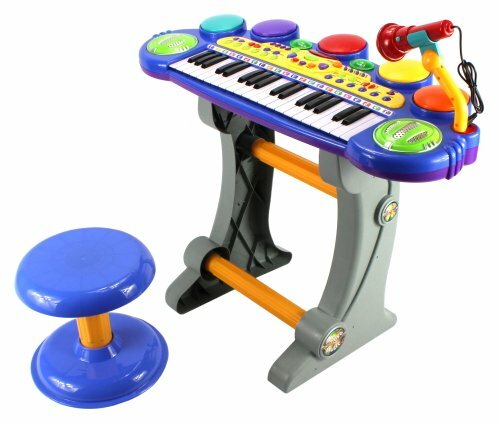 Best Toy Keyboard For your future rock star!! They can record their own songs and music and play it back afterwords! This cool music station for kids will keep your future musician busy for hours! *Omg, you gotta see this!! This toddler boy started jamming right away when he got his new VTech – KidiJamz Studio for Christmas! Very Cool Toy Keyboard for Toddlers! Fun Toy Keyboard Play Set for Kids Ages 2 to 6 Years Old! This cool and colorful fun toy keyboard is the complete deal! 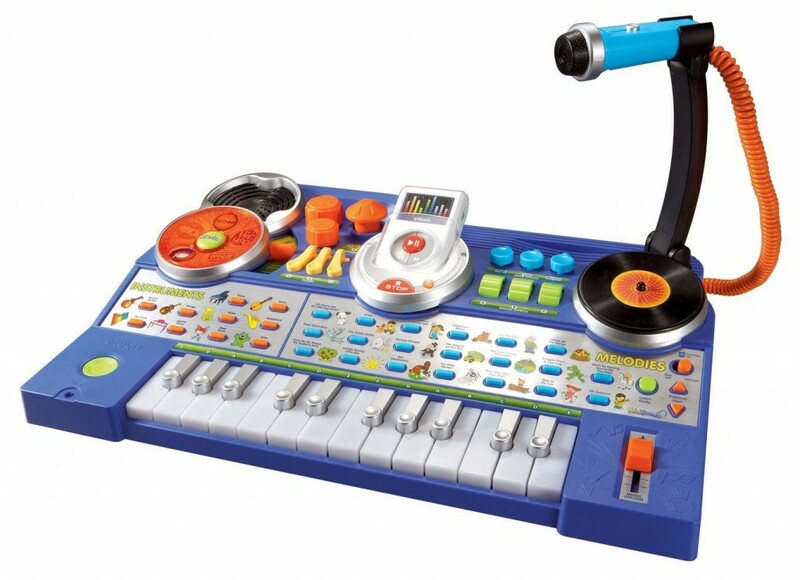 It has a cool microphone, a cute stool and kids can record and playback their music too! It has several instruments and sound buttons, including fun animal sounds too! Watch your toddler perform on this cute keyboard like a professional! Let your child be the center of attention with this electronic toy keyboard! And let the good times roll!!! How should I encourage my child to play the piano? How old should kids start taking piano lessons? I was 1 year old when I started singing and playing instruments. I had a wooden flute, a xylophone, a toy piano, harmonica, toy guitar and drums. The best way to encourage young children to want to play any instrument is by giving them musical toys! Take a few minutes a day to sit down with them in their bedroom and play music together! As far as music lessons, I would wait until they are in first grade. First get them excited about music! I played music by ear my whole life until I was in my early 20′s. NEVER make your children play if they don’t want! *This is a cute and fun wooden toy piano for your baby! Perfect for one and two year olds to play! Get those cute chubby baby fingers active on this colorful piano soon!